Understanding Issues Facing Bisexual Americans is an introduction to the many issues facing bisexual Americans, a frequently invisible community within the LGBT population. Due to unfair laws and stigma, bisexual Americans experience significant and shocking health, safety, and economic disparities. The guide includes policy recommendations to address these harmful disparities and to improve the lives of bisexual Americans. Movement Advancement Project, BiNet USA, and Bisexual Resource Center. 2014. "Understanding Issues Facing Bisexual Americans." 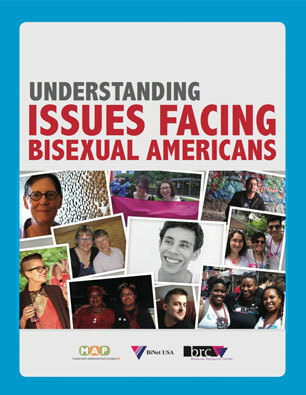 http://www.lgbtmap.org/understanding-issues-facing-bisexual-americans (date of access).